Please become a member of Farms Not Factories in order to bring peoples’ attention to the stark realities of factory farming. Your support will help end the abuse of livestock, the overuse of antibiotics and the pollution of our air, soil and water from thousands of tons of animal waste spread on surrounding fields. If the true cost of this system were internalised into the retail price, meat from real farms would be the cheaper option. Your membership will help us continue to make films led by high profile people to urge everyone to use the power of their purse to only buy meat from high animal welfare farms. 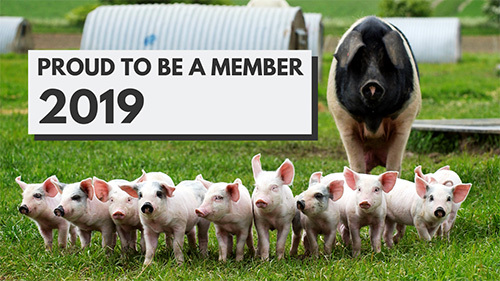 Please become a member today and help us achieve even more victories for animals and our ‘real’ skilled farmers in 2019. We use PayPal’s secure system for online donations. You don’t need a PayPal Account in order to make a donation. 75% of the pork eaten in the UK comes from pigs raised in factory farms. 57% of the pork eaten in the UK is imported from countries which raise pigs in cruel conditions that are illegal in the UK, out-competing British farmers and destroying local livelihoods. In 2016, 49% of British adults changed their diet due to environmental or animal welfare concerns. We believe that consumers can drive change within the industry by only buying high welfare. If there is no demand for cheap, factory farmed meat then there will be no need to produce it. With your donation we can work to shut down all factory farms by raising awareness of the inhumane conditions pigs are forced to live in. 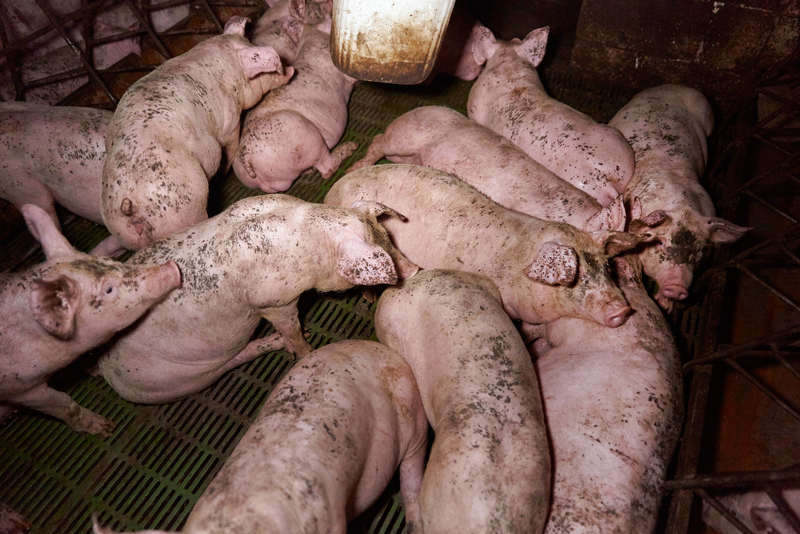 Pig factories can be defined as intensive, indoor facilities in which pigs are kept on concrete slatted floors without straw or similar bedding, routinely tail docked and routinely given antibiotics. Mother pigs are confined in farrowing crates, too narrow for them to turn around, for five weeks in each pregnancy. It’s time to expose the truth and make the public rightfully aware of the horrors and inhumane cruelty of the factory farming system, the damage done to rural communities and the threat it poses to the environment and public health. Local campaigners appealed to us to make a film fighting against plans to build the biggest factory pig farm (estimated to produce 80,000 pigs annually – all destined for China) in the UK. So, in May we filmed Pig Business in Northern Ireland (see 90 sec teaser) near Limavady on the shores of Lough Foyle. This majestic landscape is where many scenes from Game of Thrones were filmed, so actor Jerome Flynn (Bronn) has introduced our next series of film clips taken from the longer film. Through interviews with local objectors to the planning, those who already suffer the effects of living near a factory farm and unsuspecting proponents, our film exposed the true cost of animal factories. The conditions that pigs in these factories are subjected to means they require routine doses of antibiotics just to keep them alive. This, in turn, contributes to antibiotic resistant diseases in humans. Doctors warn of antibiotic resistant bacteria spreading from pigs to people, bringing us ever nearer the end of antibiotics as a cure for human diseases. Thousands of tonnes of toxic slurry are spread on surrounding fields already overloaded with ammonia and nitrates, damaging local wildlife and polluting rivers. The film was released on social media in October 2018 and was screened to packed audiences in Limavady and Belfast. In its wake came more, much needed media attention. The problems of excess slurry (pig waste) in Northern Ireland were uncovered. It was also revealed how huge subsidies for Anaerobic Digesters have profited factory pig farm companies, their service industries like animal feed manufacturers, and venture capital firms – while leaving the local farmers with massive debts, liability and destroyed livelihoods (BBC article, File on 4 programme and Source Material). A successful screening in December at the House of Commons was hosted by Zac Goldsmith and moderated by Jerome Flynn. The screening was followed by a panel of speakers, including Rosie Wardle (Farm Animal Investment Risk & Return), Philip Lymbery (CEO of Compassion in World Farming) and Vincent Lusby (from Stop the Limavady Pig Factory Campaign). The objective was to warn the invited audience of 60, which included MPs, civil servants, financiers and CEOs, to the risks of investing in factory farming. The risk (identified by FAIRR) is that investments in factory farming could become ‘stranded assets’. An increasing number of people reducing (or removing) meat from their diets in conjunction with potential legislations to mitigate climate change, antimicrobial resistance, food insecurity, deforestation and unhealthy diets, will all have an increasing impact on this sector. Implications of Brexit on international environment treaties and EU Regulations affecting obligations for the UK in Northern Ireland were also discussed. The House of Commons event received substantial press coverage. Clodagh McKenna and Jerome Flynn spoke to camera about their objections to the proposed factory pig farm, with over 150,000 views between them. The Limavady planning application has now stalled, thanks to the persistence and expertise of local residents. There is no date for a Planning Approval, the NIEA (Northern Ireland Environment Agency) have requested more information and the Planning Authority has yet to start their Habitats Assessment. The next key date is March 29th for Brexit. The NIEA are aiming to release their Ammonia Action Plan around then also, which is no coincidence! Jerome Flynn will continue to lead the campaign on this subject by introducing a series of videos about the impact of factory farming in N.Ireland. Hopefully, this momentum of awareness (and a petition signed by 12,000 people) will put pressure on the local authorities to act. We plan to attend a number of leading high street restaurants’ & supermarkets’ annual AGMs in order to voice our concerns to CEOs and board members, that share values are likely to drop if they don’t offer high welfare pork to today’s ‘conscientious’ consumers. We will point out that share assets will be stranded when the government acts on its ‘public money for public goods’ policy in order to mitigate the external costs of factory farming. Externalities such as the contribution to greenhouse emissions, antibiotic resistance, food insecurity (land used to feed livestock, not people) and unhealthy diets (too much cheap meat resulting in obesity, diabetes, heart disease and cancer). Our message to the board is they should offer at least some high welfare meat and thereby keep up with other high street brands whose own-brand products are entirely high welfare, such as the Co-op, Waitrose, M&S, McDonald’s and Pret A Manger. A Mail on Sunday journalist is already pitching this story to the editor. 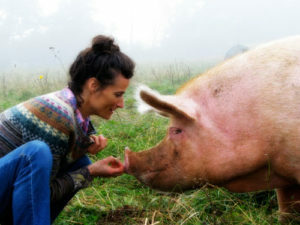 We are continuing to make new films in our Rooting for Real Farms series with chefs Valentine Warner, Jasmine Hemsley, Gizzi Erskine, Cyrus Todiwala, Tom Adams and Clodagh McKenna. 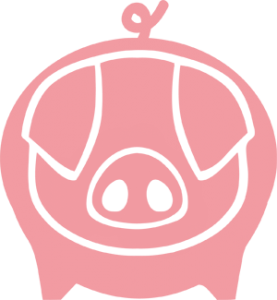 We will also be making more short films for our #TurnYourNoseUp to Pig Factories series with Jane Goodall, Bruce Parry, Graham Harvey, Jonathon Porritt, Philip Lymbery and more actors from Game of Thrones. 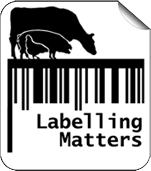 Do you know any high profile people who want to air their concerns about factory farming? If so, please get in touch. We have a very small and dedicated team which allows us to be very cost effective as a campaign. I (Tracy Worcester, Director) campaign, lobby the government and ‘bang on’ about factory farming 24/7, so have little time to organise fundraising events and crowdfunders. We all want to see a change to this appalling factory farming system, so help us continue this important work by becoming a member – or by making a one off donation. If you have fundraising ideas (perhaps helping to organise a fundraising lunch or dinner) then please do get in touch.